It’s no secret that here at Who What Wear, we have a serious crush on French-girl style. Something about their pared-down, minimalistic, too-cool-to-care vibe has us endlessly coveting whatever it is they’re wearing. That being said, we’ve always been a bit sad to part with our American-girl roots in favour of something just a bit more chic. Considering all this, we were struck by a brilliant idea—why not combine these styles to achieve the best of both worlds? 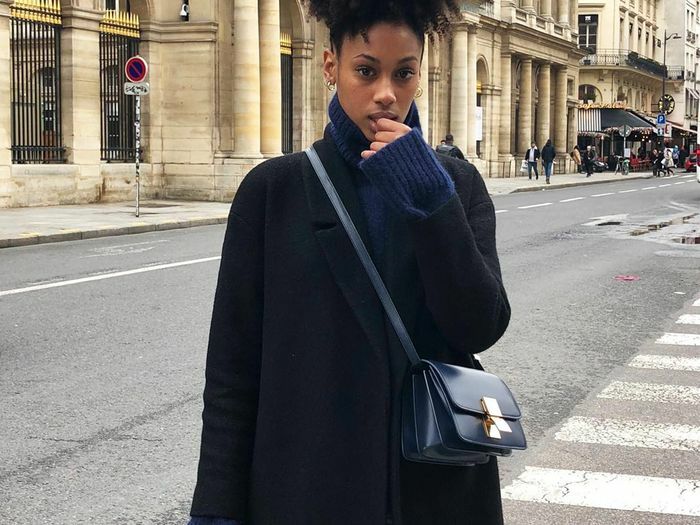 Below, find five outfit ideas that mix the minimalistic French approach to dressing with a bolder, more American methodology to accessorizing. Keep scrolling for five ways to dress like a French It-girl with an American twist! Most stylish French women have not one or two but several classic LBDs at their disposal. Take a French approach by dressing the staple piece up with a pair of colourful heels, a printed blazer, or another statement-making accessory of your choice. French women love a good pair of loose-fitting denim, but it’s the Americans who started the overly distressed trend. Get the best of both worlds with a pair that is minimally distressed but maximally slouchy. Chic French women love a basic white button-up. Pair yours with a bold statement necklace to take the look from minimal to powerful. French women live in their flats, and their shoe du jour is most often a classic loafer. Try rocking this easy style with a little bit of bling for added oomph. French It-girls are rarely spotted without their omnipresent black leather moto jackets—but it’s American women who have the moto market truly cornered. From badass motorcycle-inspired jackets with hardware and fringe to buckle-laden boots, get back to your all-American, road trip-lovin’ roots with the trend. Do you want to mix up your style to be French-meets-American? Sound off in the comments below!